We believe in “Delivering what we Commit”. Our strength lies in our team which ensures that we are able to take personal interest in each & every requirement of customers. We want them to be satisfied with the services we deliver them & love to get the feedback from them. In a short time span, our infrastructure has become dynamic & sound, led by senior professionals & industry experts, who are prepared & eager to take new challenges every time. We are a strong team of qualified standards auditors covering quality, health & safety, environmental, and information / data security standards. The in-depth experience of our progressive staff and our innovative approach to ISO training, Business process improvement, management system implementations and organizational development is reflected in our board array services. Founder & Promoter of Shark Certifications Pvt. Ltd., He laid the foundation of progress for more than 1000 Leading entrepreneurs & Corporates by helping them to achieve International & Other System Certifications. He is having a rich 20 years Industry Experience in Business Development, system Implementation and Team handling. He is also a Principal Consultant & Lead Assessor for ISO Standards. Chandra is master of SME business challenges, his strengths lie in providing practical business solutions, knowledge consulting and sharing best practices in areas of business system development. He holds a MBA degree in Mining from Dehradoon Petroleum University. Additionally, he has good exposure of systems implementation and also holds multiple certifications & degrees in consulting. He is also a lead assessor for Quality, Environment, Food, Health and safety Management. He is a Good Administrator and documentation controlling expert. He is having 30 years of experience in Management & Administration. 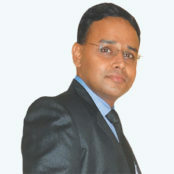 He is also a Management Consultant & Lead Assessor for QMS Standard. Core Expertise in IMS Standard & NABL-NABH Certifications, He holds a Degree in Electronics, Telecom & railway Engineering, He is a Lead Auditor for Management Systems, He is Certified for Green Belt (Indian Statistical Institute). She has 14 years of experience in key areas like Auditing, Documentation and control, System/procedure (QMS) Implementation, proficiency in SIX SIGMA tools, SPC / SQC / FMEA Techniques, Training and Evaluation, 5S & KAIZEN. She is also a Certified Lean Six Sigma Green Belt , Lean Six Sigma Black Belt & Lead Auditor for Management System Certifications. Mechanical Engineer with more than 16 years of experience in various Industries. Lead Auditor & QCI Approved Consultant for Quality Management System.